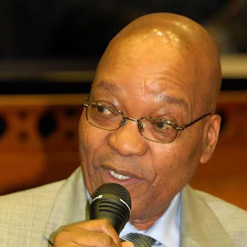 South African President Jacob Zuma was the keynote speaker at the South African National Editors Forum’s Nat Nakasa Award dinner and annual general meeting, held on 27 June under the theme “Journalism – the next 10 years”. This is an excerpt from his speech. Compatriots, we meet during an important month in our history. As we mark Youth Day each year, we are reminded of the fateful events of that day by the powerful picture of the young Hector Peterson, taken by photographer Sam Nzima. That picture was relayed by the media throughout the world and illustrated the brutality of the apartheid system to millions of people across the globe. That one image did much to stir the peoples of the world into action to campaign for the end of apartheid. It is but one example of the role that a few brave journalists played in exposing injustice and bringing about democratic change in our country. Today, we look to these journalists, and to the media in general, as a vital partner in strengthening our democracy and promoting the rights for which our people fought. These rights include freedom of expression, which is not merely about protecting citizens from state censorship. It is also about ensuring that citizens have the means to exercise this right. The media is an important vehicle through which citizens should be able to freely express themselves. South Africans also express themselves through the ballot box, public meetings, strikes, pickets and protests. They express themselves in shebeens and social clubs. But it is in the media that people have an opportunity to reach a mass audience, and in which they have an opportunity to enter into public debate. This evening you are celebrating the struggle of Nat Nakasa, and many other courageous journalists like him, against a political system that sought to silence them. It was not only a struggle against censorship. It was also a struggle to give a voice to ordinary South Africans to depict their lives as they truly were; to allow their concerns and views to receive free expression. The award also celebrates the integrity and quality of the journalism of Nat Nakasa. It holds up the work of Nat Nakasa as an example of good journalism, something to which all journalists should aspire. Therefore, the Nat Nakasa Award reminds us that we don’t just need a free media. We want and need a quality media. As a country we need journalists who are dedicated to their craft and to their audience. We seek reporting that is credible and honest and informative. We seek comment and analysis that challenges us and provides fresh insight into our world and the challenges we face. This is a challenge that is seemingly difficult in an ever-changing world, and in an industry that is undergoing major changes. Media institutions and journalists throughout the world today face a different set of challenges from those that Nat Nakasa faced. Commercial pressures and the rapid shift to new technologies are placing traditional forms of media particularly print media under great strain. You have the challenge of how to get the youth to read newspapers, when they want to sit in front of their laptops and surf the internet. The effects on the South African media may not directly mirror what is happening in the developed world, but there are changes taking place nevertheless. The current economic downturn has placed an even greater strain on the media. How to provide quality coverage in the context of declining profit margins is a challenge for journalists everywhere. Already, the quality and credibility of journalism is undermined by commercial imperatives. The media are commercial enterprises that must make money and be profitable to survive. This means that there is a risk of the dictatorship of advertising. These changes are not necessarily bad, though they may pose challenges to traditional media. The media industry in South Africa has its own particular challenges, not least of which is the ongoing challenge of transformation. A lot has been achieved in the last 15 years in changing the composition of newsrooms for example. But there is clearly more that needs to be done. The decision by some journalists to resurrect the Black Journalists’ Forum angered some, but it probably suggests that there are still issues of transformation with which the media needs to grapple. As you would be aware, the media is one institution that is extremely sensitive to criticism, perhaps because practitioners spend their lives criticizing other people! We do not only need to look at the composition of newsrooms, and ensure that they represent the diversity of South African society. We also need to look at the content of newsrooms, to ensure that they represent the diversity of views and interests in our society. We must also acknowledge that a lot more needs to be done to improve the representation of women at all levels within the media. We must address gender transformation in both staffing, management as well as in the portrayal of women in the media. We maintain a keen interest in the media because a vibrant media is a cornerstone of any democracy. In our country this is especially significant as the media has an important role to play to keep our people, especially the poor, informed of their rights and responsibilities. Many media institutions already perform this function, and help many citizens who are battling to obtain assistance from those in authority. Ladies and gentlemen, like many people in our country, we are deeply concerned about the public broadcaster. We are encouraged that Parliament has undertaken to fulfil its responsibilities in ensuring that the problems within the SABC are comprehensively addressed. We will play our role and will act quickly when called upon to do so, to take the process forward, once Parliament concludes its processes. We must acknowledge that in the midst of the challenges facing the public broadcaster, there is still a sizable group of journalists within the institution who undertake their daily work with diligence and integrity. We commend them for doing everything they can to keep South African citizens informed, under difficult professional conditions. We must emphasise that the public broadcaster is not, and should not be, the mouthpiece of government. It should serve the public interest by providing accurate, credible and comprehensive coverage of events in South Africa and abroad. Ladies and gentlemen, Nat Nakasa played a key role in shaping society. We urge the media to keep alive the legacy of Nat Nakasa and many other outstanding journalists who dedicated their lives to using their skills to make ours a great country. We also need to join hands to defend the independence of the media and freedom of expression which we all fought so hard to attain. It is important to always remind ourselves about this because it is part of the elements that form the cornerstone of a democratic society. We humbly invite the media in this country to join us in building a united South Africa; a South Africa that is recognised for its achievements, a country united in its diversity and one that remains alive with possibility.